New York Times – "Colin Kaepernick’s Collusion Case Against the N.F.L. Will Advance"
New York Times – "Colin Kaepernick Is Not Going Away"
Adweek – "Colin Kaepernick Gets the Call, Fronts Nike’s 30th Anniversary of ‘Just Do It’"
ESPN.com – "The NFL's 50 most fascinating people: Players, coaches, GMs to watch in 2018"
It's still impossible to talk about the most important people in and around the NFL without bringing up Kaepernick, whose protests against social injustice still reverberate and impact the league. The NFL has repeatedly bungled its attempts to establish some sort of policy surrounding the national anthem, an issue President Donald Trump has used to energize his base against the league. The on-field story still hasn't changed. Kaepernick is overqualified for a job; there is no modern precedent for a healthy quarterback with Kaepernick's résumé failing to find work in the NFL. Every time a team has an opening during the season, it goes after and eventually acquires a quarterback worse than the guy who is freely available on the open market. The Packers and Texans tanked their seasons in 2017 with Brett Hundley and Tom Savage, passers who nobody could credibly say were likely to outplay the 30-year-old Kaepernick. Some team will make the same mistake in 2018. There's no end in sight to the conflict between the players and the league. Kaepernick has filed a grievance against the NFL. Eric Reid, the talented safety who knelt alongside Kaepernick during the 2016 season, also has filed his own collusion grievance. 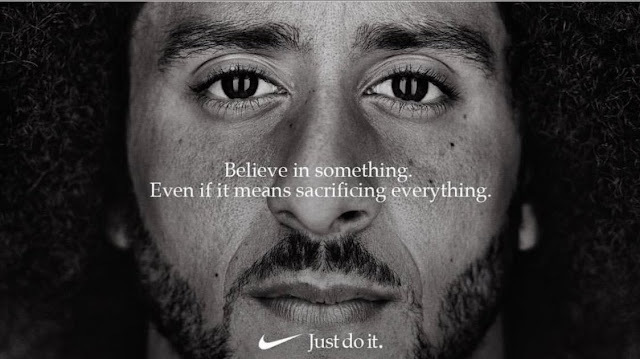 The grievance might prevent Kaepernick from finding work; the only team that expressed interest in him this offseason was the Seahawks, who reportedly declined to bring Kaepernick in for a visit after he refused to say whether he would kneel during the anthem if signed. I've been covering the NFL for 10 years now, and in the course of that decade, I've met plenty of people for the first time and had that natural conversation about our lives and what we each do for a living. Before 2016, when I said I wrote about the NFL, it usually led to a conversation about a favorite team or player. Occasionally, it led to player safety. Since 2016, those same conversations have almost without fail led to the other person giving their opinion about Colin Kaepernick and how the NFL has handled his situation. Kaepernick and his decision to protest have become shorthand for political sides in these divided times. That's not going anyway anytime soon."